There are 4 spots located directly behind the building. If you find yourself parking behind someone, kindly leave your keys at the front desk. There are an additional two spots located to the rear, west side of the building that are marked with the Greenheart logo. Parking is also available on Huntington Drive, be mindful of parking restrictions. Parking is allowed next to the building when City Hall is not in operating hours. For example on Saturdays and Sundays. Bicycle parking is in the front of the building. Additional bicycle parking is available next door at City Hall in front of the Fire Station office. Yogis and yoginis are encouraged to walk to class whenever possible. Greenheart is located in the building next door to the San Marino Fire Station near the corner of San Marino Avenue and Huntington Drive. 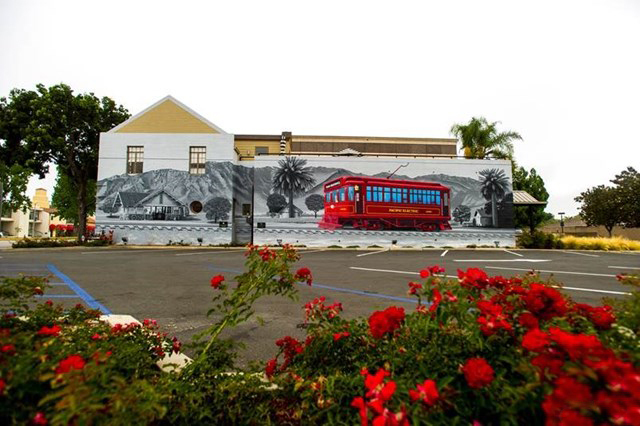 Look for the city’s beautiful Centennial Mural painted on its side.